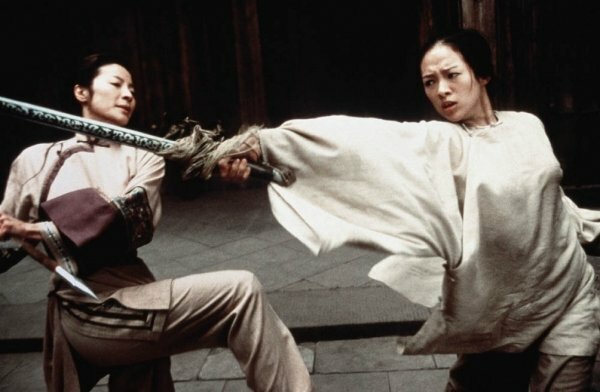 Crouching Tiger Hidden Dragon, one of the current crop of 4K movies. VP10 should also offer a variety of visual enhancements over its predecessor including properties like a wider color gamut, faster framerates, and better dynamic range between highlights and shadows, CNet reported. Google has been using VP9 for 4K on platforms like YouTube and Chrome, but partly because of Apple devices, H.264 is also effectively the industry standard. Chipmakers such as Samsung, MediaTek, Nvidia, and Broadcom have promised VP9 support however, and many 2015 TVs have VP9-ready decoders. VP10 is said to be two years away, and require about 40 percent more work to decode than VP9. In the interim VP9's main competition will be H.265, also known as HEVC. While it offers similar performance, Google may be able to gain ground because of the high patent royalties being asked for by the HEVC Advance group. These amount to 0.5 percent of all revenue stemming from HEVC-encoded video, as well as an 80-cent charge per mobile device and $1.50 per TV. By contrast, MPEG LA —the creator of both H.264 and H.265 —charges just 20 cents per H.264 device. Other companies may also demand patent revenues. Cisco and Mozilla have developed alternative codecs known as Thor and Daala, and are further collaborating on a royalty-free standard called NetVC due around the same time as VP10. Apple has yet to take a full step into the world of 4K, though it is believed that next-generation iPhones will support 4K recording, and the company has quietly been amassing 4K material for iTunes, though it's not yet on sale.